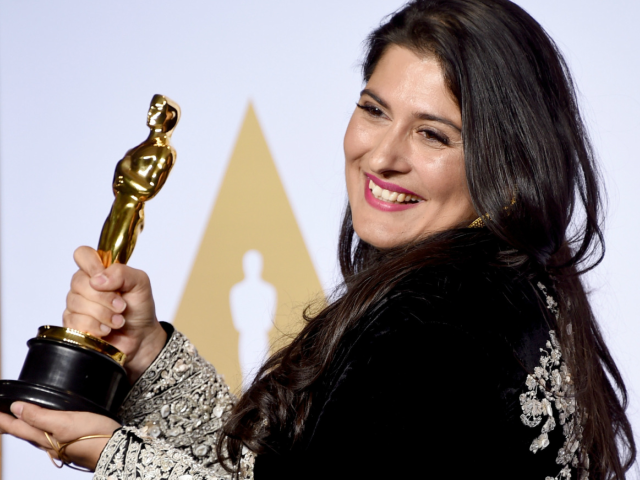 Sharmeen Obaid-Chinoy needs no introduction – the illustrious film-maker made us proud by being the first Pakistani to bring an Oscar home. She is a strong advocate of women empowerment; always taking the initiatives to promote the positive side of Pakistan. She rose to fame with her pioneering documentaries on social issues prevalent in our country and has made headlines since. Sharmeen has recently made even more headlines – however, they’re not for a documentary or an Oscar this time. The oscar-winner has created uproar after she took to social media to express her disapproval of the Aga Khan University Hospital (AKUH) ER doctor sending her sister a friend request on Facebook – labelling it as harassment, also adding that ‘Pakistan has zero boundaries’. This resulted in the doctor being fired. Unfortunately the doctor messed with the wrong women in the wrong family and I will definitely report him! Harassment has 2 stop! Since then, the hospital’s ratings have gone down drastically. This social media storm has the nation divided. Whilst some have backed the film-maker, others called her out in more ways than one. Pakistani actress Ushna Shah lended her support for Sharmeen through a Facebook post. But on the other hand, Hamza Ali Abbasi, Nomi Ansari and Farhan Saeed view this incident from a completely different perspective. How about girls sending friend requests to guys?This is a perfect example of misusing the woman card,there’s a reason it’s called ‘request’! “Whats next, asking for a pen is harassment, asking for a tissue would be harassment. A picture in which someone accidentally comes in the background will be harassment. Looking at someone for three seconds will be harassment??? Please there were no wrong connotations and this is just ridiculous. Should the doctor have sent the request? No! Was it unusual? Yes. Was it unprofessional? Yes. Was he harassing her? Oh please,” Ali concluded. Disclaimer: Sharmeen’s official Facebook page was not taken down by Facebook at any point. Regardless though, this fiasco has definitely created more than just chaos and hit Pakistanis hard.